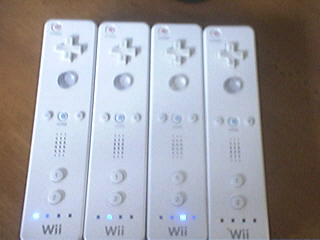 A somewhat new post on Opera’s Dev site describes that Web pages can obtain and use input from all four Wii-remotes. Lets see what new goodies will come from this. This entry was posted on Tuesday, August 7th, 2007 at 5:04 pm and is filed under Nintendo. You can follow any responses to this entry through the RSS 2.0 feed. You can leave a response, or trackback from your own site.